Pt. 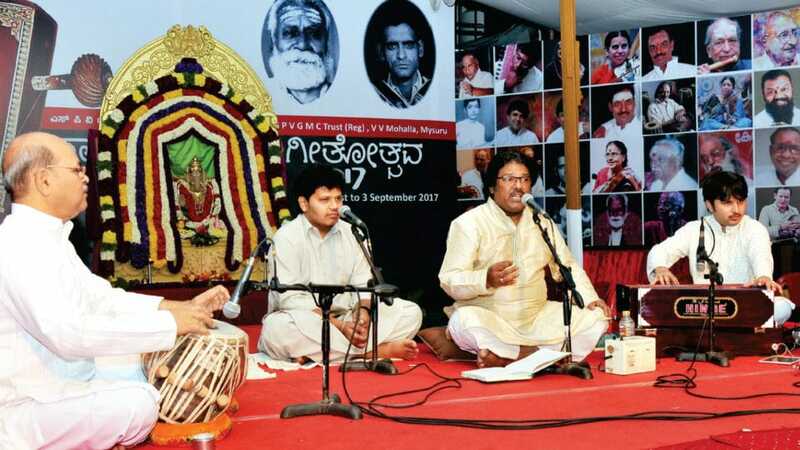 Fayaz Khan is seen presenting a Hindustani vocal recital at the ongoing 56th Heritage Music Festival organised by SPVGMC Trust as part of Ganesha Festival at 8th Cross, V.V. Mohalla, in city last evening. He was accompanied by Pt. Deepak Marathe on Harmonium and Ustad Ravindra Yavagal on Tabla. On the occasion, the Trust felicitated Pt. Fayaz Khan on his recent nomination as Chairman of Karnataka Sangeeta Nrutya Academy. Today at 6.45 pm, Vid. Sikkil Gurucharan will present a vocal recital.